I cannot say enough about Sandy as a trainer and great person, and her laugh is infectious!! I raised an Arabian gelding who has been exceptional since I got him at 5 months old. When he was 3 I wanted to find a good trainer for him so he could start his journey to fulfill all of his potential. I have no experience with trainers and chose the wrong one, of course. She started out all right but then she just lunged him every day in different arenas. She was using a saddle that rubbed him raw and made him buck at first because it hurt so I said, "let's try a different saddle." She said no, he was there 3 months and not ever ridden, which was the objective. Then another trainer who was moving to Scotland said she would get me on a waiting list for Sandy. The wait was worth it. From day one I could see she connected with Raven and she was riding in no time and the best part was watching her being so happy that he was just blooming for her. She actually thinks like a horse, I think. She saw what I saw and the rest was history, everyone who saw Raven fell in love with him. She took him horse camping, trail riding and with her to her lessons. Sandy is young, but she runs circles around the seasoned trainers I have come to be ware of in this area. She treated my horse like part of her family, cute pictures with her little girl and husband. The hard part was that I am 68 and a good rider, but he is young and very spunky. I always promised myself I would do the right thing for him and I did not want him to be a pasture ornament. He has so much to offer and I now know what "if you love someone, set them free" means. Sandy helped me find a great companion for him and I am so pleased with how this all turned out thanks to Sandy. There were a couple of folks who came to look at him and if she did not think it was a good match, she told me because she knew how important it was for me to be sure he went to a good home. I said I will need to go to their house for dinner and she practically delivered me a person who would be fine with that. I still get to see him and I can't wait to see where his journey leads him. That's the other thing about Sandy, she is so honest and up front about everything, I trust her and her judgement completely. 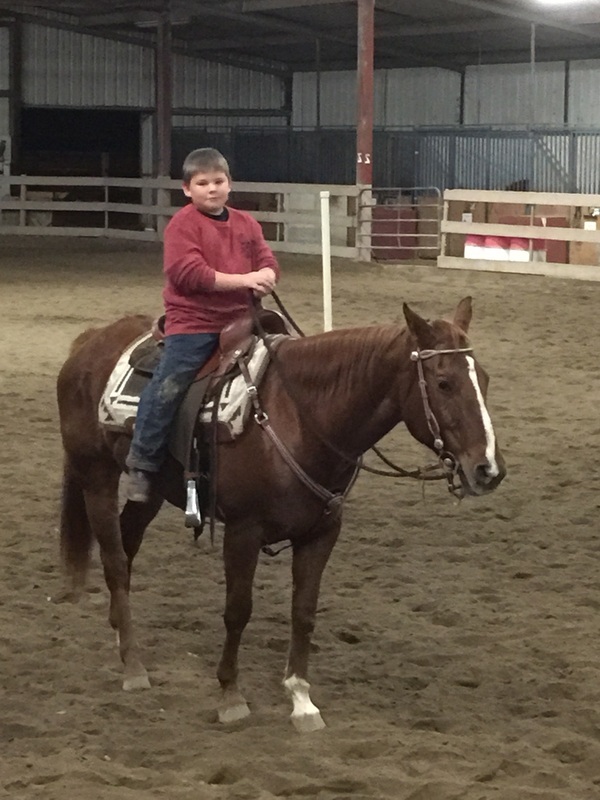 Just before the sale, I had to put my riding companion of 16 years down so it was hard to lose them both because I am lost without a horse, but I will be getting another one and I will look to Sandy to help me find another buddy. I feel like I did right by little boy in every way possible thanks to Sandy. Send your horse to Sandy and you will get a winner, and if she can't deliver she will tell you. Here at Mt Dragon Pony Acres we have been producing quality Welsh Ponies and a few Welsh Crosses for over thirty years. Our ponies are well known for their consistent quality, conformation, and bloodlines. We have sold ponies into many different States, Canada, and as far away as Australia. Ponies from this farm have gone on to be Champions at Pony Finals, WPCSA Supreme Champions, Sport Horse and Pony Inspection Champions, leading producers, and more. Located in the NE Corner of Oregon, we live in an excellent location to raise healthy well adjusted ponies. However, our location makes it difficult to find a trainer who is honest, a competent horseman, with location and the ability and willingness to help market a young prospect. In the many years we have been doing this, there have been numerous disappointments. Approximately a year ago, we sent a young Pinto pony mare named Chloe to Sandy Smyth in Cool, CA. After Chloe arrived, Sandy was willing to listen to my thoughts on her. This was such a good feeling. It is always frustrating when a trainer disregards the breeder's thoughts and insights about a pony. Who better knows what an animal is like than their owner? As time passed, Sandy did an excellent job keeping in touch. I received photos, videos, and updates weekly. Sandy was great about calling me with any concerns or questions about Chloe as she progressed in her training. I got to watch the first ride, first trail ride, first canter etc. I felt good about the progress she was making and how Sandy handled her. It was obvious Chloe had come to trust Sandy and was relaxed and cheerful under saddle. When Chloe reached the point we felt she was marketable, Sandy did a great job with photos and videos which showed how well Chloe was doing under saddle plus supplying me with good conformation shots. Sandy was also able to find child riders for Chloe so she could be ridden by others and by children. Sandy also hauled Chloe out to other barns and local shows for exposure and experience. Chloe was purchased by a buyer on the eastern side of the country. Her new owner was thrilled by the her solid foundation and quiet willingness. The second pony I sent to Sandy was a rather hot Welsh gelding. He had had some bad experiences and was nervous and tense. Again, Sandy was willing to listen and brainstorm about how to give the pony the best possible start. Sandy is not in a box in her training. She is open to different ideas and ways to reach the goal of producing a sound minded, well broke pony who will do well in any discipline. She is willing to spend the extra time on the ground which is sometimes necessary to produce a solid safe pony. Again, Sandy supplied me with numerous photos and video. As this pony progressed, Sandy was willing to advertise him in venues where he might be most salable. She networked with local horse people to increase his exposure. I would recommend Sandy! She a true trainer who has the talent and riding ability to take an untrained animal and bring it into it's full potential. She has an excellent understanding of using different ideas and methods tailored to each individual. In addition she is honest and consistently works the animals she is sent. I would trust her to do an outstanding job with a variety of personality types and breeds. I plan to work with Sandy going forward to train and promote our ponies. I feel very fortunate to have met her. We were referred to Sandy by our trimmer. I had been hearing about her as my trimmer’s young daughter was taking lessons on her pony with Sandy. I liked what I heard, and called her for an evaluation on a new horse we were considering for my husband. Sundora had not been ridden for 4 years, and had minimal training under saddle. She was very reactive and difficult to load in a trailer, but had a sweet personality, and we were really hoping we could get her trained for my husband to ride. Sandy came out and did an evaluation on Sunny. 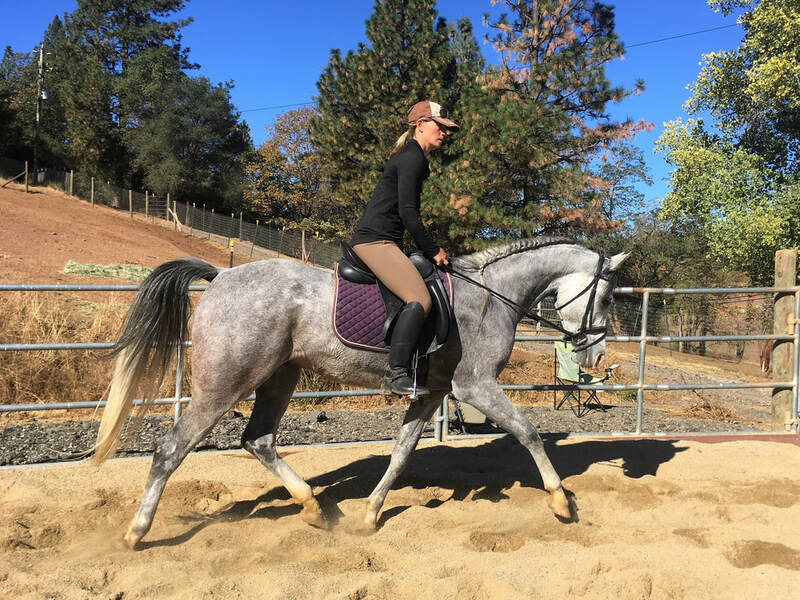 As I watched her work with Sunny and listened to her evaluation, I knew that we could trust her to help Sunny become the horse of my husband’s dreams. She told us with three months of training (lessons for my husband, Gary, after the initial training) we would have a horse that anybody could ride. She was moving to Cool, so we set up a training date in early spring. Gary and Sunny began their lessons and Sandy did an incredible job encouraging both of them. 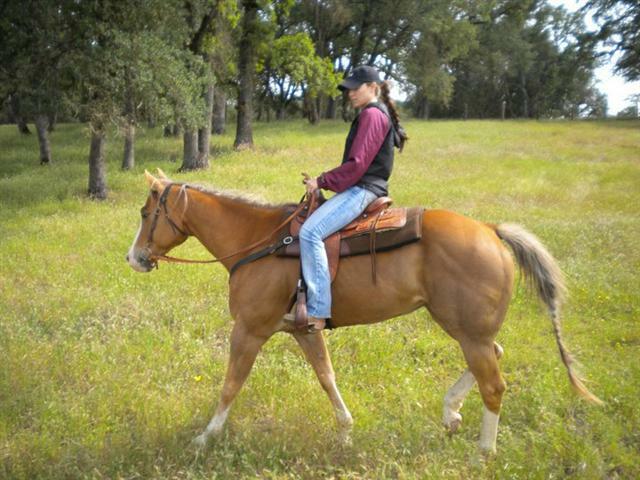 Sandy also helped me with issues with my mare, Maggie, and we did a couple of trail rides together. This really helped with the transition for Sunny and Maggie to learn to ride together. Sandy helped us to learn how to encourage Sunny so she could be comfortable and not feel insecure. She now loads without fear into the trailer! Sunny came home a much calmer, less reactive horse. Our two mares now coexist happily together. My husband and daughter are riding Sunny in the arena and on the trails, and we are making wonderful memories riding together. She is a horse that anyone can ride! Sandy was recommended to me by a good friend. When I first called Sandy she greeted me warmly and gave me all the attention I needed and answered all my questions with thorough answers. I decided to move my rescue gelding to her training barn because I felt my gelding had a lot of holes in his training that my current trainer would not address per my request. I was lucky enough to meet Sandy at a show and I even got to meet her Arabian stallion, Chinook, who was impressively trained. I have never stood in front of a stallion with a 7 year old child as mares walked by and felt safer! I was surprised at how kind, sweet and cute as button Sandy was! She struck me as a beautiful rider and very knowledgeable trainer. She offered an impromptu evaluation of my horse at my request and her evaluation nailed my concerns to the tee! I hired Sandy on the spot and felt confident with my decision from the get-go. Sandy was honest in all of her advice and recommendations for my horse and myself throughout our 3 months with her. Unfortunately, we came to the conclusion that my beautiful gelding was not the best horse suited for me and my skill level. Sandy helped me market my gelding for sale and found him a magnificent home, the home that would take him to his next level and that I would feel great about...and she found him his new home in a matter of days and even before he went in the market officially! I trust Sandy completely and had a wonderful experience with her from day one. I highly recommend her and I hope to be able to learn more from her in the near future. Sandy is a gem! Oh...and the horses respect her as much as their people. 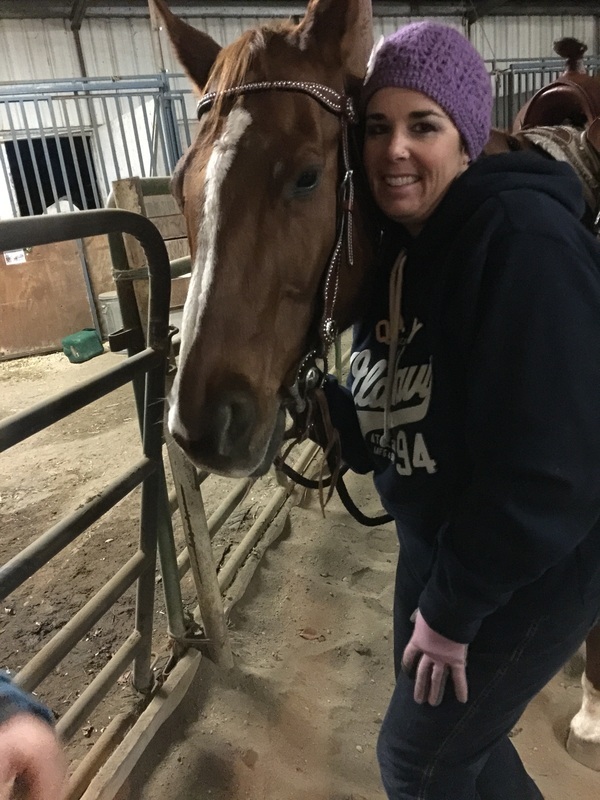 "9 months ago I brought Sandy a nearly uncatchable, avoidant and generally speaking, unhappy, rescued mustang with a lot of baggage and challenges stemming from years of improper, if not abusive, handling. I knew I would need a special trainer to work with Washo, someone who would appreciate his state of mind and would be sensitive to his needs over their human agenda. Sandy initially worked with me on a weekly lesson basis that was more for me than for the horse and even in that limited time with her, her expertise and ability to explain the training process to me in an accessible way enabled Washo and I to develop a wonderful "on the ground" relationship in just a matter of weeks. Within a month of starting to work with Sandy not only was I safely and calmly catching and haltering Washo, but was having productive round pen sessions and was even able to make several outings to sensory and horsemanship clinics. At the beginning of summer I took Washo to Sandy to continue his socialization and exposure and get him started under saddle. In the three months he has been with her I have watched in amazement as he steadily continues to be less and less of that reactive, head shy, runaway I used to know and more and more a quiet and confident mount and companion. I have also watched myself, under her tutelage, move from an indecisive, insecure handler to a much more effective horse communicator (which Washo appreciates greatly!). In watching her work her magic with Washo, Sandy has demonstrated not just a wonderful understanding of horses but also an exceptional amount of patience and creativity in puzzling out new ways to approach Washo's training that both address his traumas as well as work through them. She has proven herself to have an outstanding talent for these sensitive, rescued horses. Sandy is a teacher that does not mince words and I have found that I can get a lot "done" with her during a lesson because of her ability to push through challenges, of both the horse and human kind. I would highly recommend Sandy to anyone who has a horse who needs a fresh start. I look forward to seeing Washo's continued progress and I am certain that as he and I go forward in our lives together we will have Sandy to thank for laying such a solid foundation for us both." Sandy is by far the best trainer I have ever had the pleasure of working with. She is truly a horse guru. My boyfriend and I are completely new to the horse world, and unfortunately ran into several trainers that "took us for a ride" so to speak. We spent tons of money with other trainers and ended up frustrated and still in square one. I took my three year old mustang gelding Diego to an English barn in Chico to be trained; he was deemed "wild, crazy, too hot, can't be ridden." Everyone advised me to sell him, saying he wasn't a good beginner horse and I would never be able to ride him. I was crushed because although he was "wild" I had grown so attached to him and very much loved him. I had almost given up hope when I found sandy. Within weeks he was a completely different horse, he was gentle as a lamb and just as sweet. I could not believe my eyes. The first day I rode, I almost teared up, thinking this day would never come. Sandy has been involved in many aspects of my “horse life” in the past 3 years for which I feel blessed. First and foremost, she has helped me grow from a scared rider/handler that was lacking knowledge and skill into a confident and able horseman. Of course there is plenty more for me to learn but my transformation is huge. I started out taking lessons from Sandy; I was so afraid of horses when I first came to Sandy that I would get ill before I rode. I had been around horses my entire life but was contemplating giving up. She patiently pushed me to become better, but she never pushed too far. She helped me regain my confidence and saved me as a horse person. A year later Sandy found me the perfect horse; I had given her my wish list but when she found Champ it was as if she knew what I needed better that I did myself. He is a fabulous horse that anyone can ride; he is gentle, well mannered, and well trained. Champ has received 30 day tune-ups on two separate occasions from Sandy. Although Champ was already well behaved he needed some fine tuning to remind him how close to perfect he can be. As a result of those tune-ups I have seen Champ transform into a more relaxed horse who went from dreading being handled to truly enjoying his people time. I have gone on many adventures with Sandy. From cow sorting, play days, and trail rides to lessons and clinics. Recently Sandy found me my second horse, Cowboy. He is everything a girl could want in a man; tall, good looking, a chiseled jaw line. Okay but really, a fabulous personality and temperament, athletic with great confirmation, mellow, and virtually perfect. A great match again. Even better, Sandy owned him/trained him for over a year at one point. I couldn’t be happier (or more in love) with Champ and Cowboy. They truly are such amazing animals, and I owe it all to Sandy. · Trustworthy – She is honest, diligent, hardworking, and devoted to her job. She knows what she is doing! From proper feeding and grooming, to vetting, hoof care, and proper training techniques. There is no other place I would ever trust to send my horses. · Caring – She always has the horse and riders best interest in mind. She truly cares about each horse’s success with her program, even after they have left. She is constantly giving back to her horse community through taking on rescues and offering her time and advice. · Knowledgeable – She is a wealth of information and is my go to for any questions I have. She is always growing as a trainer; she recognizes the value in always learning. She is constantly reading books, attending clinics, and swapping tips with other trainers. 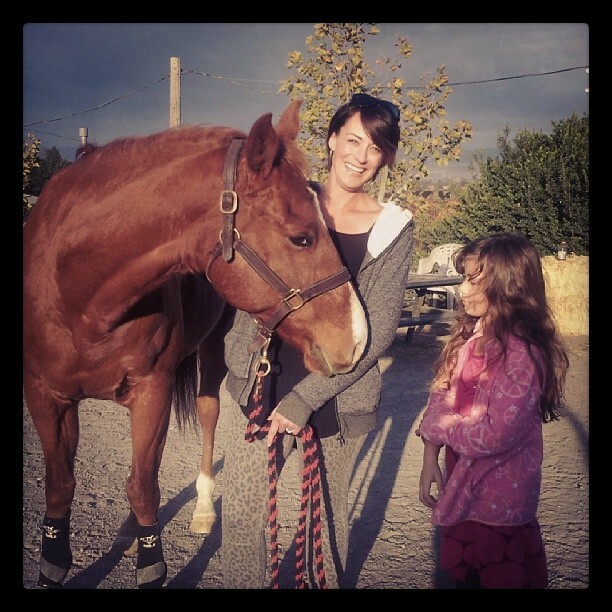 · Connected – She does a great job of learning about her students (horses and humans). She finds their strengths and weaknesses and improves on them. I love that she applies her basic foundation of training with an individualized approach to each new horse she trains. · Method – Everything Sandy does with a horse is well explained and truly makes sense. I wholeheartedly believe in her method as I have seen it work wonders over and over again with so many horses. Owning a stallion is of course a lot of work, training them correctly is even more work! Although I had saddle broke my 2007 Arabian stallion, I didn't feel I could efficiently start him on my own and give him the confidence to trust me. I needed help. So, I sent my 4 year old stud to Sandy Smyth , the niece of my Ride & Tie trainer. Right away she showed confidence and was very relaxed around my stud, Caylpso, as he was a handful at 4 years old and still figuring out his manners. Sandy told me what she was going to do with him in his training and answered every question I had. I left him at her facility feeling very confident that even with only a month at Sandy's it would be very well worth it. Sandy exposed Calypso to many different things, made his ground work solid and strong and gave him confidence an security in his riding. She worked him around and near mares, geldings, and colts and made sure that he worked but always kept his focus on his rider. The last day Calypso was at Sandy's she told me to hop on. I was very hesitant as I had never ridden him and he had only about 15 rides on him from Sandy. Within minutes I was trotting and plodding around on him in the ring and he didn't even care about the other horses. I was finally riding my black stallion! Sandy gave me the confidence to trust him and ride him. " If you ride him and treat him like a broke horse, then he will be a broke horse," she told me . Best advice I've ever gotten from any trainer. Thank you so much sandy for the wonderful training you put into my little colt who is turning out to be a tremendous, well mannered stallion. We are ready for our endurance career! Hi Sandy - Wanted to give you an update on Porter. I took him up to Red Rock this weekend and he was great! He was a perfect gentleman. What a lovely horse he is. You did a wonderful job of preparing him for the next steps towards his new career. I think he would do fine in the show ring and, even though we didn't take him out with hounds there's a great chance he'll be good as a field hunter. I'm just sorry that with my injury (there's a good chance that I won't regain use of my hand for several months) prevents me from taking over in moving him to the next step. I was dying to get on and ride him today - he looked like so much fun! I ended the day with an opportunity to sell him, and given my current situation it made the most sense to sell him at this point. Oh well, there will be other prospects to be found once I'm fully functional again. _I took my horse Emily to Sandy as a last ditch effort to make her into a reliable safe horse. I do believe after a couple of weeks, Sandy wondered what she had gotten herself into. 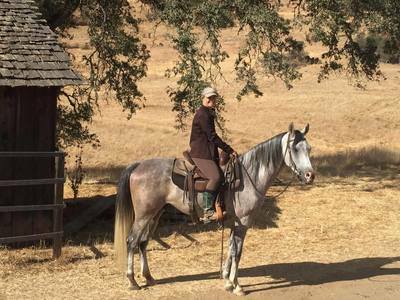 Sandy worked with Emily for 90 days and transformed her into a dependable trail horse. I was amazed at the amount of patience Sandy displayed when working with Emily and then with me. Sandy is an amazing trainer and teacher. She honestly understands a horses mind and is able to see inside to make them into the great animals they are. I would recommend Sandy to anyone who has a horse or their rider that needs a little to a lot of work. Sandy transformed Emily into a great horse and trusted friend. Thanks Sandy......I am sure we will be back. Molly's "big ride" is in reference to the 5 day Chief Joseph ride going through Idaho and Montana that is only open to Appaloosa horses. Go Molly! - your sensitivity to my as well as Stella's needs. In being relaxed about what aims I could have with her, you allowed me to be more confident as a horse owner. Thank you! I brought Tonka, my 15 year old horse, to Sandy to help work out some kinks that he had developed over the years prior to my purchase of him. He lacked confidence, would occasionally rear on the trail if we weren’t going the way he wanted to go and wasn’t real responsive to leg or reining cues. It sometimes felt like a battle of the wills when we rode. But not any longer, her knowledge, dedication, patience and time invested in him have made him a real pleasure to ride. 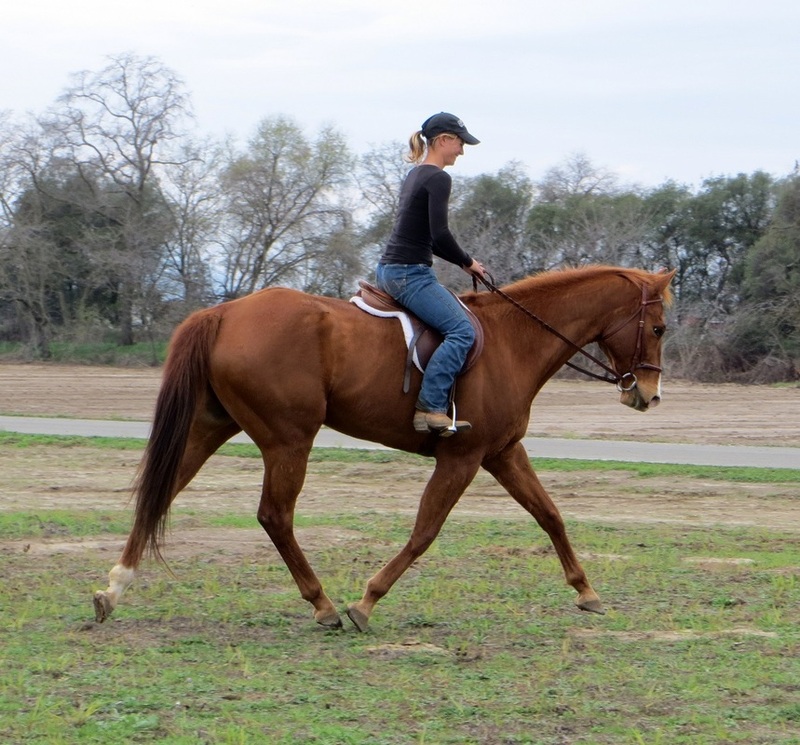 He no longer rears, is extremely responsive to leg and reining cues and has gained a ton of confidence on the trail. Additionally, the time and patience she invested in me and Tonka together at our weekly lesson has made me a better, calmer and more confident rider. I could not recommend her more highly and will call on her when it comes time for my 3 year old son to learn to ride. Thank you so much Sandy and I look forward to seeing you on the trail. _Regarding TJ I wanted to write you to let you know how much I am enjoying the horse I bought from you. You made the whole process of acquiring a new horse a real pleasure. It was so comforting to deal with a person that was opened and honest. I am naturally a very cynical person and yet I felt totally at ease with you and felt you were completely trustworthy. Meeting someone and feeling that comfortable does not happen often. Thank you for my wonderful horse. I assure you he has a happy home.